Kid's or adult desks. Sturdy, adjustable, with shelf. need a wipe down but otherwise great. 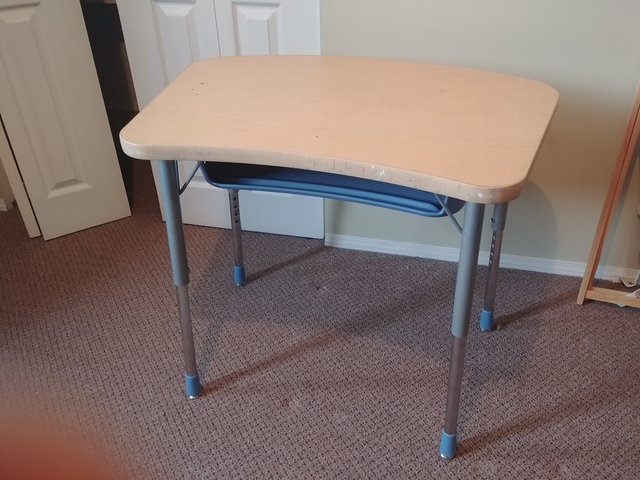 Two desks, $5 each.